From preschool to fitness classes, Kathy and her family have been avid Y members for many years. Most recently Kathy’s daughter, Destiny, has thrived while participating in karate. In class she makes friends, finds new mentors and learns healthy habits for lifelong wellness. But last April the family’s life dramatically changed when a house fire left them “practically homeless,” as Kathy states. The family lived out of a hotel for several months, struggling to maintain their mortgage, monthly bills, along with the added expenses of essentials like laundry. The months proved very difficult for the family, and Kathy struggled to maintain a sense of normalcy for Destiny and her siblings. Kathy reflects: “I never thought I would be in a situation where I needed to choose if my daughter could continue Karate at the Y. Thank God for the Suburban North YMCA, we did not need to make that decision." 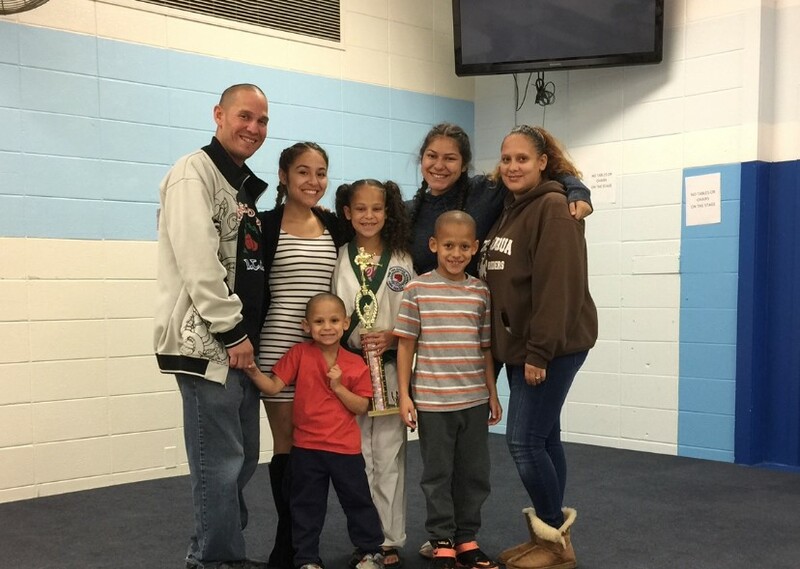 Thanks to the Y’s financial assistance program, Destiny was able to continue thriving in karate despite her family’s hardship. Even more importantly, the family knew they could turn to the Y for support and consistency while they work towards a new normal. In times of both personal need and collective social problems, the Y is here for our community.